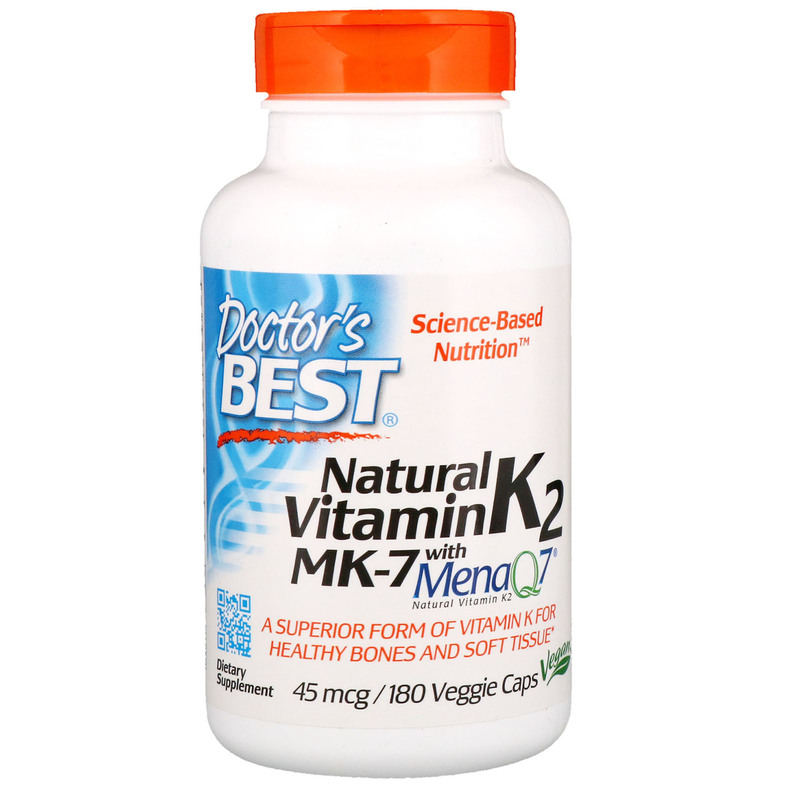 Doctor's Best Natural Vitamin K2 MK-7 with MenaQ7 provides the superior form of vitamin K for optimum bioavailability and delivery to the body. Vitamin K isn’t one vitamin, it’s a family of fat-soluble vitamins with similar chemical structures but different metabolic properties. 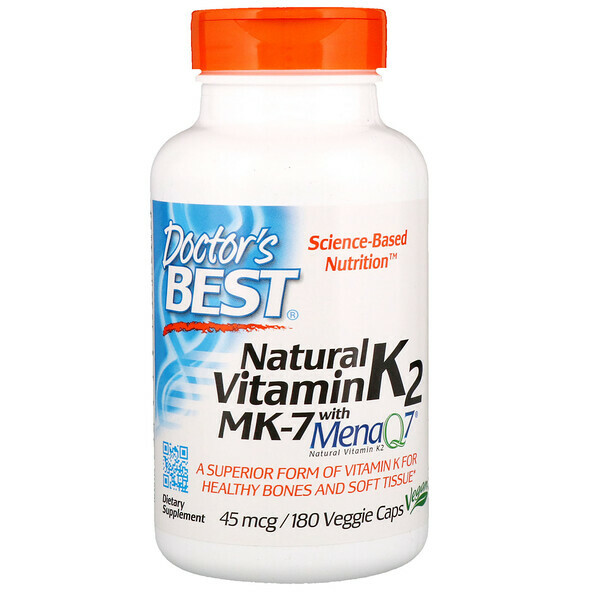 K2 belongs to a group of vitamin K compounds called menaquinones, which show greater bioactivity when compared to K1, the ordinary supplemental form. 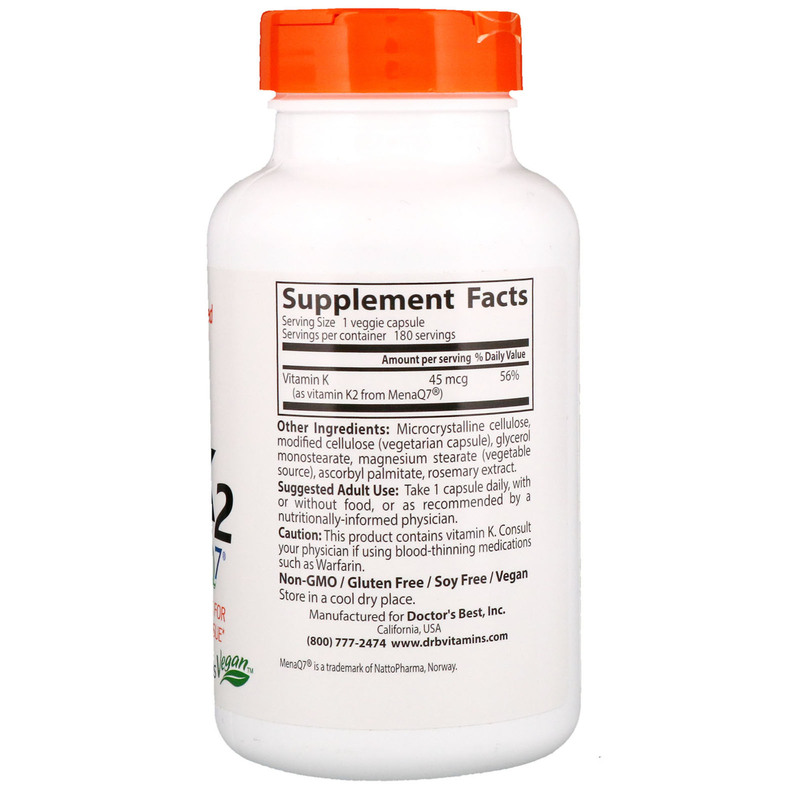 K2 is absorbed more completely, remains in the body longer and delivers more benefits for bones, blood vessels and other soft tissues. Helps support bone health and soft tissue elasticity. Highly effective delivery of vitamin K to bone and soft tissue. Helps support calcium metabolism for maintenance of healthy bone. Suggested Adult Use: Take 1 capsule daily, with or without food, or as recommended by a nutritionally-informed physician.